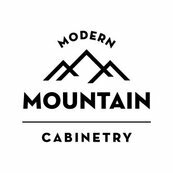 6 Reviews for Modern Mountain Cabinetry & Co. Comment from Modern Mountain Cabinetry & Co. Thank you Lisa & Dan. We miss seeing you guys on the regular and wish you many happy and heathy years in your new downstairs!